we are Blackpool community fundraising. we are a voluntary organisation based In Blackpool to support the needy In our community. we need to move premises from our tired small and quite shop to bigger better town centre premises. this would mean we can provide more help and fundraising to more needy and homeless projects and soup kitchens in our area. moving premises means we could take more fundraising and help more. we support many individuals and groups in Blackpool including homeless projects and recovery groups and soup kitchens and other projects such as animal welfare. we issue food parcels and provide bedding and clothes to the needy as well as providing organisation money through our shop fundraising. please support our work and donate. check out our work at Blackpool community fundraising on Facebook. 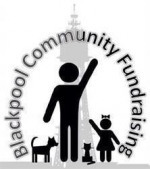 I run a voluntary organisation called Blackpool community fundraising. we are based in Blackpool. and what we do we change monthly who we fundraise for. we have helped many organisations and individuals in Blackpool including homeless projects and recovery. groups and soup kitchens also local animal welfare projects. we are trying to move to town centre premises so we can increase our fundraising and give more help to our community. we are seeking £3000 this covers the cost of moving shops, upfront rent, deposit and legal fees. Project Delivery Manager: Kev Long The Project Delivery Manager takes legal responsibility for receiving and spending the funds raised and ensuring the project is delivered.